I suspect like many Leica M9 owners I have just been reading up on the newer ‘more advanced’ Leica M Type 240 (“Typ 240”) to try to work out the Leica M240 vs Leica M9 pros and cons. To give non-Leica users some background – the Leica M9 was released in 2009 and uses a Kodak 18.5mp CCD sensor). The Leica ‘M’ (Type 240) was released in 2012 and uses a more standard CMOS sensor (24mp) as found in many DSLRs such as my Nikon D800. As a Leica wedding photographer and portrait / fashion photographer I now use the Leica M9 for almost all my work regardless of whether on location or in the studio. My very capable Nikon D800 DSLR has become my backup camera. The only time I might feel I need to pull out the Nikon D800 during my regular work is in the evening during very dimly lit wedding ceremonies. If I am trying to freeze action using available light only the ISO 3200 of the D800 can save me. I find the Leica M9 is useable up to ISO 800 for people shots in dark conditions and even at ISO 2500 on occasion but I would not like to make it a regular occurrence. Much has already been written about the Leica M so I am just going to summarise the key points that stood out for me for my given situation from the research I have done. I think regardless of how good a manual rangefinder camera is, such as the Leica M9 and Leica M, there will always be a potential need for a DSLR camera. Examples include fast action photography, wildlife photography, macro photography, creative photography using special effect lenses such as a Lensbaby. The fact that the latest Leica M camera is starting to include features found in DLSR and mirrorless cameras such as the CMOS sensor and EVF shows the market need for these features. Leica M240 vs Leica M9- Will the M240 replace my M9? Not in a million years!! The M9 is special and the Kodak CCD sensor produces unique photos that the new M CMOS sensor cannot match. The M photos are nice and are comparable to using a Nikon D800 or perhaps a Canon 5D Mk III. The photos have got that sharp generic characterless look. The Leica M9 is special for me as I enjoy film photography and the black and white images possible from the M9 CCD sensor to me are near indistinguishable from 35mm film. With the rising costs of film to me this is the best of both worlds. So, would I replace my M9? No. I am not willing to give up the famous ‘Leica look’ that is due to the CCD sensor more so than the lenses. Would I consider buying a Leica M Type 240 in the future? Possibly, to use as a second body and for low light photography depending on my situation and work needs at that time. It is not a cheap camera! 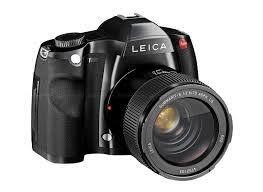 I think I rather wait and hope than Leica see sense and create some super Leica hybrid CCD-CMOS sensor! Other options on the market? If I want to stay with my beloved CCD sensor the next step would get very expensive. I could give up the small size of the Leica M gear and invest in a medium format Leica S2! Matt, I do not think the CCD vs CMOS distinction is as clear cut as you describe. The new Leica M produces amazing files that compare very well with the M9 if you match the white balance or adjust slightly the way you shoot. At higher iso it is the clear winner. I believe that the “Leica look” has more to do with the lenses (it was there before the digital sensors anyway) and, how the Leica sensors are made to take advantage of the full strength of them (microlenses etc). Given your experience and mastery, a proper comparison of M240 vs M9 (using same lenses and white balance) will be a very interesting article. I think you will find there is not much difference and the M240 is a better proposition due to its higher dynamic range and high iso performance. Oh, and if you convert to B/W the M240 files come very close to the MM files (about 95% there). Thanks Photomatrix. Yes I have read the Leica M look is a combination of the D800 + Leica M9 but with richer colours. I have no doubt I could make the Leica M work for me and be very happy. As you correctly state the RAW files and sensor make the most of the 6-bit Leica lenses. The reason I say the ‘Leica look’ is from the Leica M9 sensor is I use Zeiss and Voigtlander glass too (as you have probably seen) and all the lenses in their own way produce some amazing film-like results. As an exmaple in my early photography days my first camera was a Panasonic Lumix G1. On this I used a Voigtlander Nokton 40mm f1.4. Even though it was by far my favourite lens on the G1 the G1 did not produce film-like photos as the M9 does. I know the ‘Leica look’ is very subjective and is the result of a multitude of factors. This is just my thoughts from my experiences so far. One thing to add, even if the lens is not 6-bit coded the Leica sensor still produces more IQ from the M-type lenses because of the microlenses on top of the sensor, which means even your Zeiss and Voigtlander lenses will benefit from it as well. The G1 does not have such adjustments on the sensor. Basically the Leica sensors (including the new M) have been build to match the Leica (and therefore other M-mount) lenses and some of them were designed for film, not digital sensors. It may have a lot to do with the film-like rendering you get… Just a thought. Matt, I too agree with you in that the CCD sensor looks more like film. I’m holding on to my Pentax K-10D for the same reason. If I want to upgrade it would have to be the P – 645D with the same CCD Kodak sensor as the M9. The Pentax K-3, though at 23MP and focus peeking, still has a CMOS sensor. Black and white from my CCD is stupendous! !